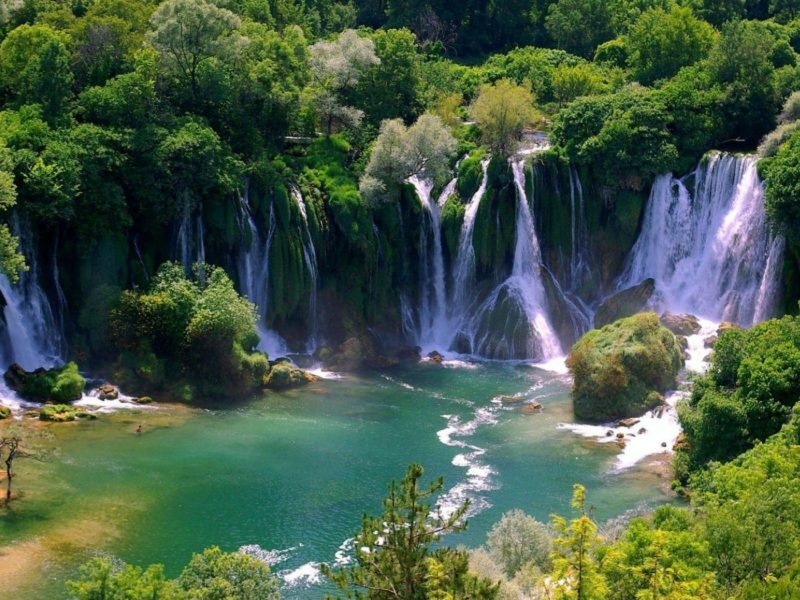 Visit Kravice waterfall, one of the most beautiful nature wonders in Bosnia & Herzegovina. A must visit place for all travelers to our wonderful country and a site that will surely leave you breathless. 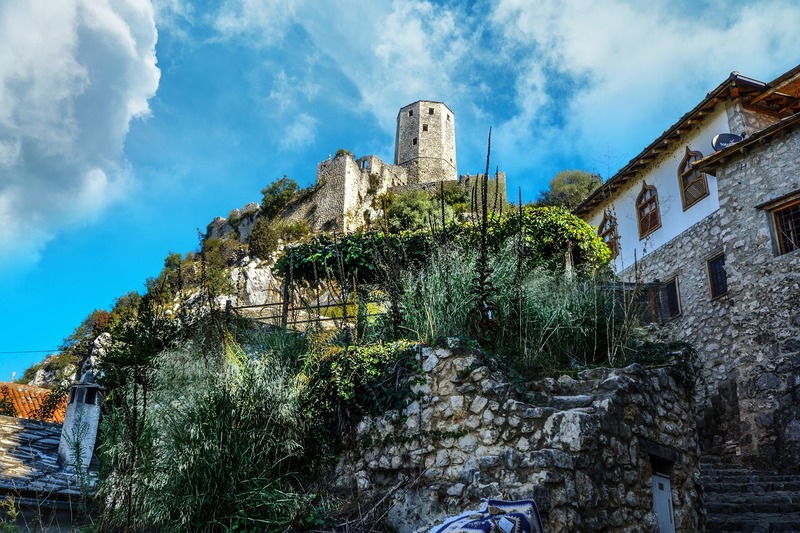 On the way back to Sarajevo, take a short tour of Pocitelj, a city dating from Ottomans period. 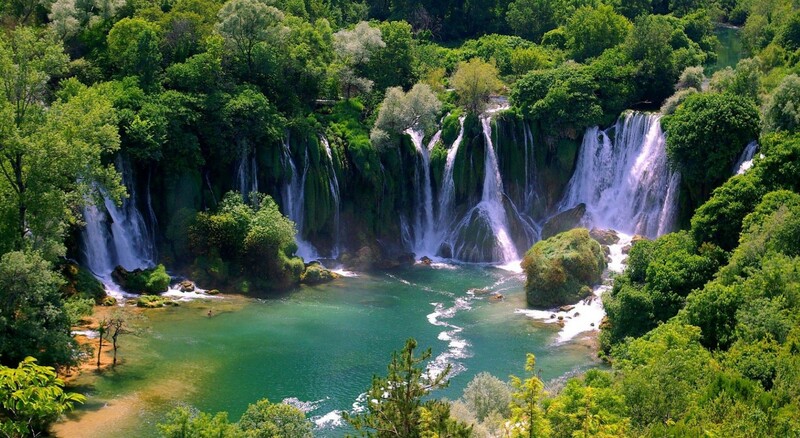 Let Invicta Travel take you to see the beauty of a hidden Bosnian treasure. 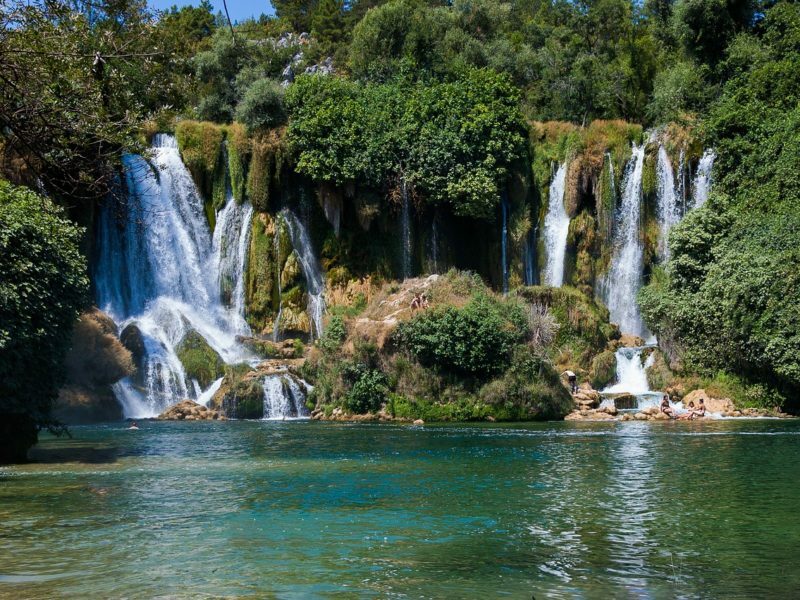 Plunging from cliffs as high as 83 feet into a natural watery amphitheater that is almost 500 feet across, the series of waterfalls at Kravice are nestled in a natural reserve southwest of the city of Mostar in Bosnia and Herzegovina. 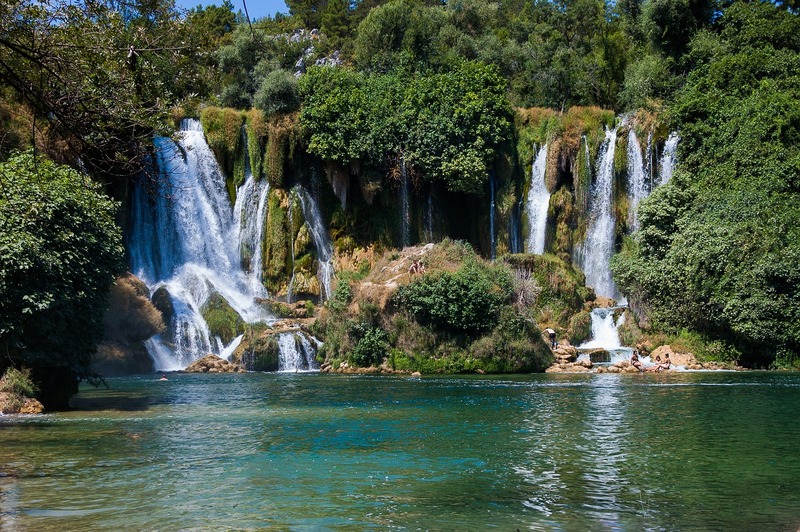 The stunning mini-Niagara of 25m cascades pounds itself into a dramatic and steamy fury. During the summer the surrounding pools become shallow enough for swimming. 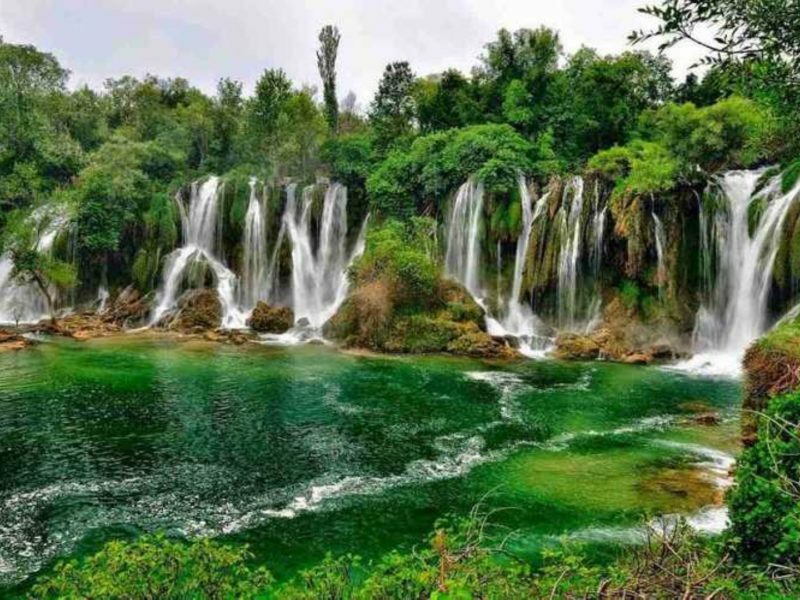 The best part about the Kravice falls is that even though they are incredibly impressive the area is still void of any mass-tourism infrastructure. 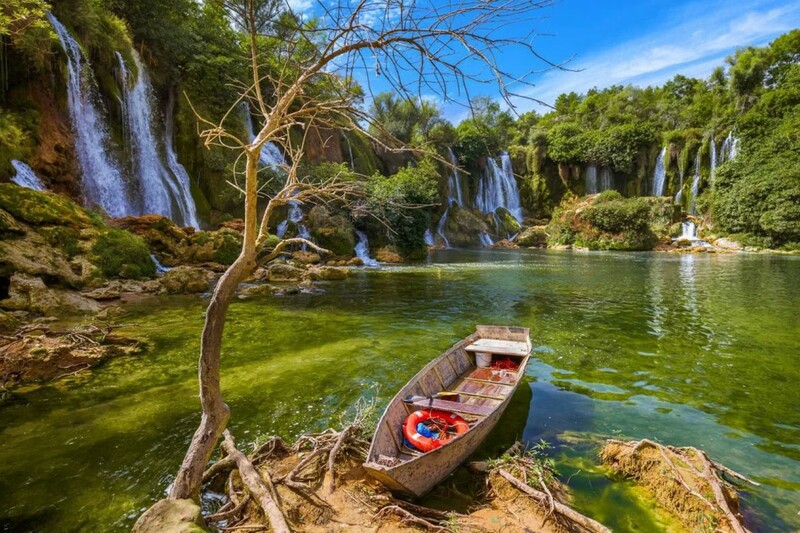 There’s an ample car park and coffee shop at the entry to the park and a lovely boardwalk which takes you all the way down to the base of the falls, where you can swim, sunbath or take a picnic. 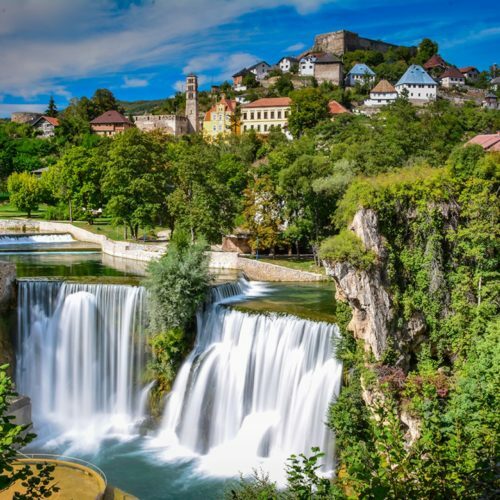 On the way back to Sarajevo, take a break and a short tour in Pocitelj, a city dating from Ottoman period. Book your tour now with just a few clicks on the link below. We pick up all our travelers from their place of stay in Sarajevo area. 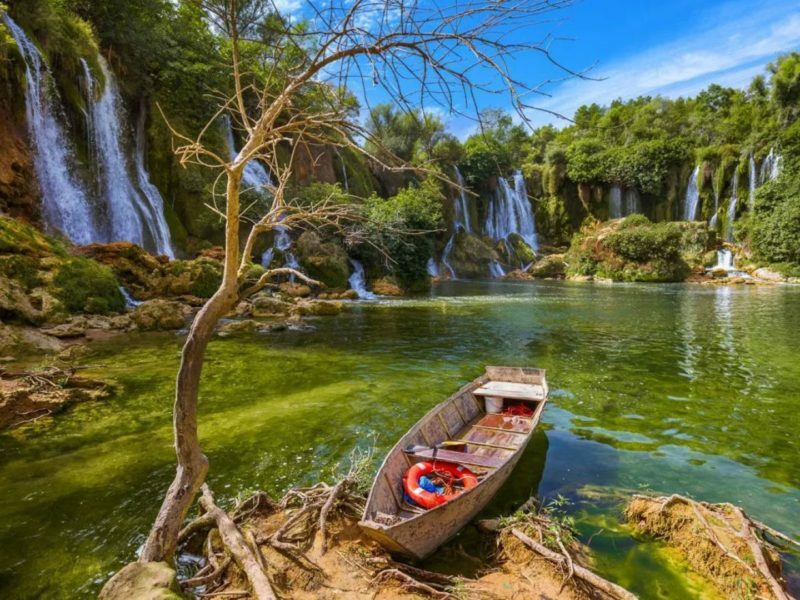 After a ride through the amazing landscape you will arrive to Mostar. Mostar city tour starting point is Crooked bridge. According to local legends,this bridge was built before the Mostar Old Bridge. It was a model for the bridge that very soon became worldwide famous. 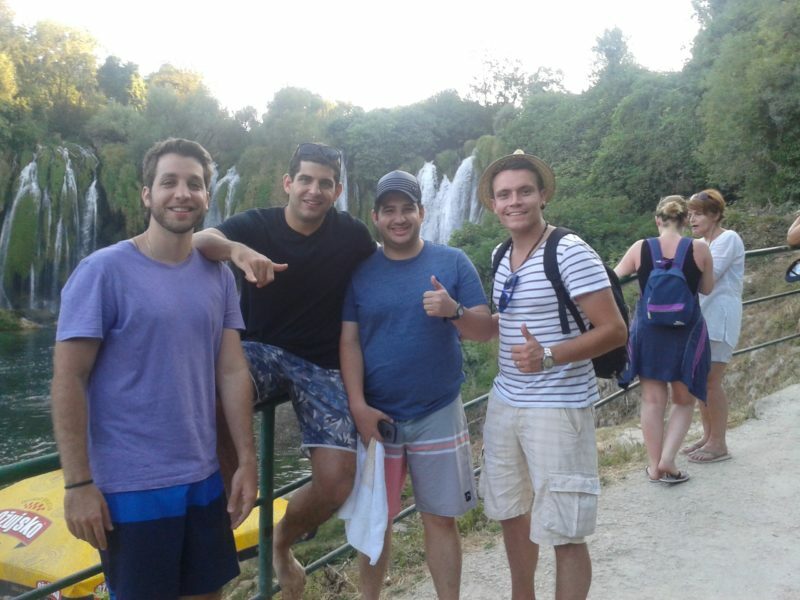 After a short introduction about Mostar history,you will continue towards the Old Bridge where you will enjoy the walk on the both side of Neretva river through a plenty of souvenir shops. 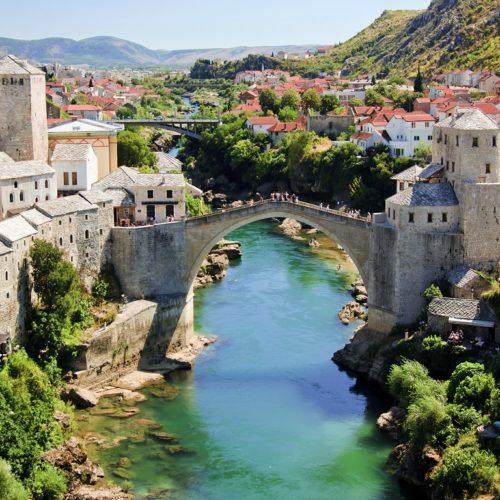 On the way back you will make a short break in Pocitelj, an amazing authentic Ottoman town from XVI Century. 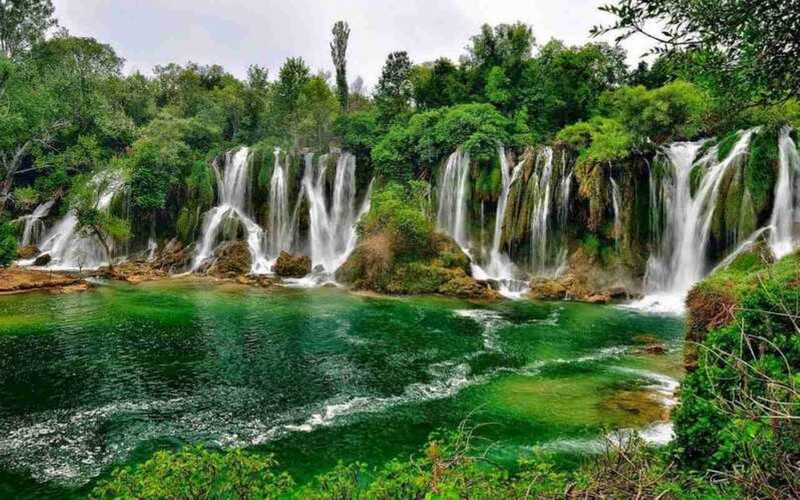 After the tour, make yourself comfortable and enjoy the drive back to Sarajevo.